The Pennsylvania Ballet’s 2017-2018 season will conclude this May at the Academy of Music with George Balanchine’s groundbreaking masterpiece, Jewels. Inspired by a visit to famed jewelers Van Cleef and Arpels, this ballet celebrates the facets of Balanchine’s life in three acts – each with its own mood that reflects on a precious jewel. There are five performances scheduled between May 10 – 13. Tickets are available now. The three-part performance begins with Emeralds. Set to music by Gabriel Urbain Faure, this act evokes the elegance of the French Romantics. 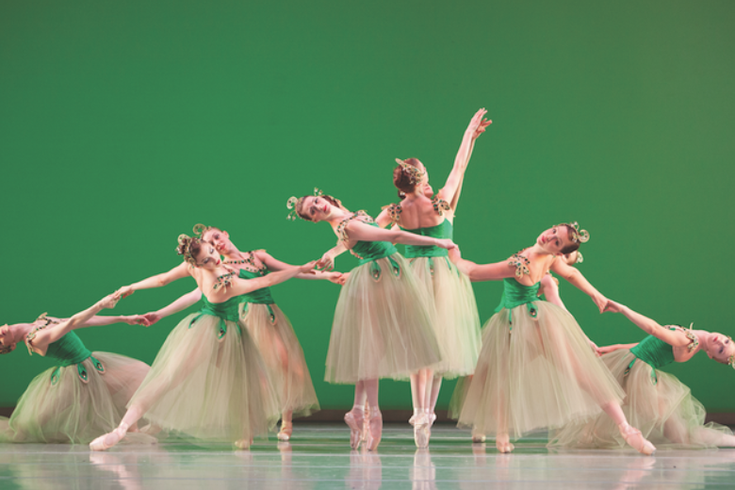 The following act, Rubies, is heavily influenced by Balanchine’s time in America. Set to Stravinsky’s jazz-inflected score, the crisp, high-energy of the American metropolitan world is showcased in this stunning performance. The program concludes with Diamonds, which is inspired by Imperial Russia and set to a beautiful Tchaikovsky score.